The public is invited to attend the Southwest Florida 2045 TransForum to discuss future transportation needs including roads and congestion, safe walking and biking, and transit. SARASOTA COUNTY, Fla. — The public is invited to attend the Southwest Florida 2045 TransForum to discuss future transportation needs including roads and congestion, safe walking and biking, and transit. 326 Nokomis Avenue South, Venice FL. From traffic and turn lanes to autonomous vehicles and drones, this event will introduce future concepts to be considered in the transportation planning process. Over the next two years, all Metropolitan Planning Organizations (MPOs) in the state of Florida are mandated to engage the public in developing transportation plans for 2045. Some of the biggest problem areas they are hoping to focus on include widening River Road and replacing the aging Desoto Bridge. “It is an old bridge," said Leigh Holt, strategic planning manager for the Sarasota/Manatee MPO. "It’s over 50 years old. It’s going to have to be replaced." Holt says that will be critical in addressing congestion issues also. "How do we fix that bottleneck between those two cities?” Holt asked. They will also be discussing how driverless cars could play a major role in how they look to the future. 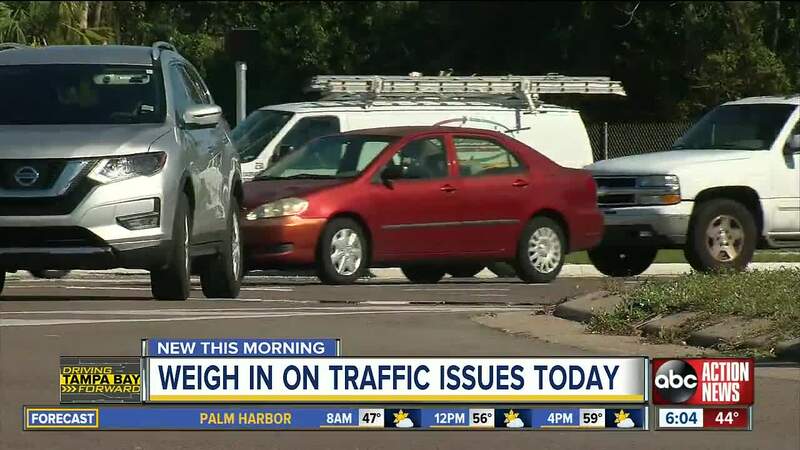 This means addressing how Sarasota County and Manatee County can incorporate autonomous vehicles not only into policy, but fixing the roads so traffic signals, streets and driverless cars can all communicate with one another. “If you’ve got a four-way stop, do all the cars just sit there and wait for somebody to go?" Holt asked. "Some technology has to tell the cars when to go." Alice Ancona from the Florida Chamber of Commerce will discuss the critical connection between transportation infrastructure and the future of economic development and tourism in Florida. Ms. Ancona is the Director of International Strategy and Policy for the chamber’s International Trade and Investment Office. Secretary L. K. Nandam of the Florida Department of Transportation, District One will discuss the state of transportation over the next twenty years in Southwest Florida. Mark Bontrager, Space Florida’s Vice President of Spaceport Operations will explore vertical freight including airspace and drones. Discussing how communities will prepare for autonomous vehicles is Ben Walker, Florida Director of Multi-Modal Planning for HNTB. Dave Sanford, Deputy Executive Director and COO of Port Manatee, will share the importance of Port Manatee in supplying food and fuel to Southwest Florida.